Classic knob by Richelieu. Discreet detailing makes it perfect for furniture, closets or cabinets that have simple lines or a traditional look. Enhance the appearance of your furniture and home dicor with this contemporary knob by Richelieu. Features a trendy finish and an elegant cone-shaped design. This Richelieu bowl-shaped knob suits various styles of home dicor. Attractive and charming, this knob will add a classic feel to your furniture and cabinetry. This massive bronze round knob features a classical elegance and robustness and is suitable with different traditional styles of home dicor. This massive bronze oval-shaped knob features a classical elegance and robustness and is suitable with different traditional styles of home dicor. 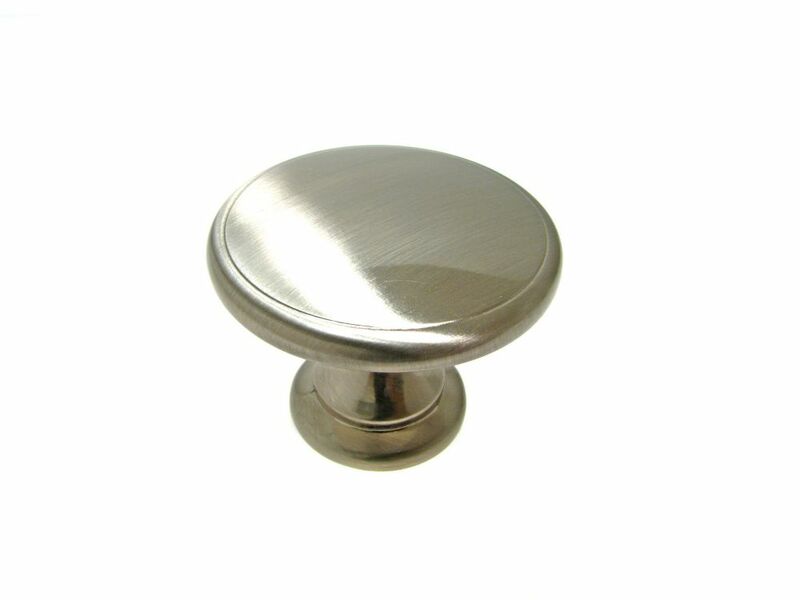 Traditional Metal Knob 1 23/32 in (44 mm) Dia - Brushed Nickel - Mont-Royal Collection Classic knob by Richelieu. Discreet detailing makes it perfect for furniture, closets or cabinets that have simple lines or a traditional look. Traditional Metal Knob 1 23/32 in (44 mm) Dia - Brushed Nickel - Mont-Royal Collection is rated 5.0 out of 5 by 1. Rated 5 out of 5 by Updating from This is a very heavy knob and looks beautiful on my closet doors! I did have to buy longer #8 scr... This is a very heavy knob and looks beautiful on my closet doors! I did have to buy longer #8 screws to go through the wood but that was easy! !